Italy’s Amalfi Coast has long been a popular travel destination, and with good reason. This 50 km stretch of rugged coastline is defined by stunning sea views, pastel coloured houses clustered on sheer cliffs and picturesque beaches. Nestled within an unspoilt corner, the former home of Prince Belmonte can rightly claim to be located within one of the most idyllic locations in the Mediterranean. 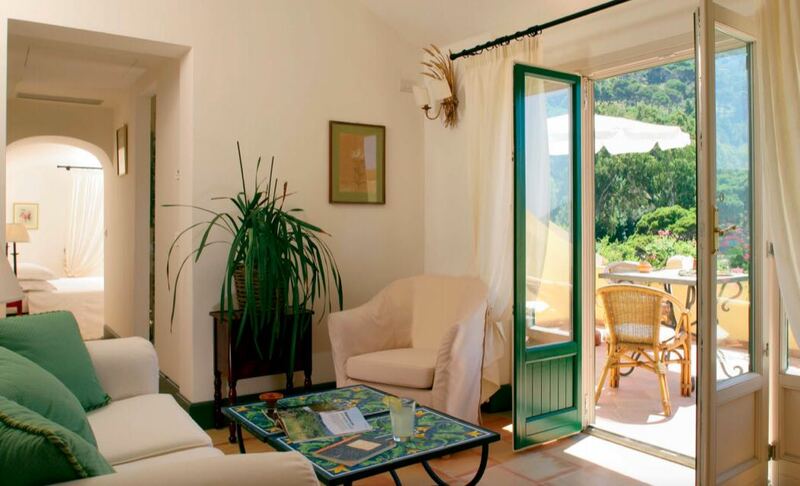 Palazzo Belmonte is a charming historical residence, full of character and boasting some truly breath taking sea views. Designed to embody the perfect marriage between traditional style and modern comfort, this beautiful luxury hotel really is a memorable place to stay. EasyJet and British Airways both offer direct flights to Naples from London Gatwick. Palazzo Belmonte is just under two hours’ drive from Naples Airport. In a highly desirable location by the Mediterranean sea, Palazzo Belmonte is made up of the palazzo itself and the adjoining Edoardo’s house, framing a pretty courtyard, while hidden within the gardens is the more modern and informal Villa Belmonte. In addition, 8 km to the south lies the Punta Licosa estate, which is within the Cilento National Park and where you can stay at the private and quiet Villa Sirena if you prefer. 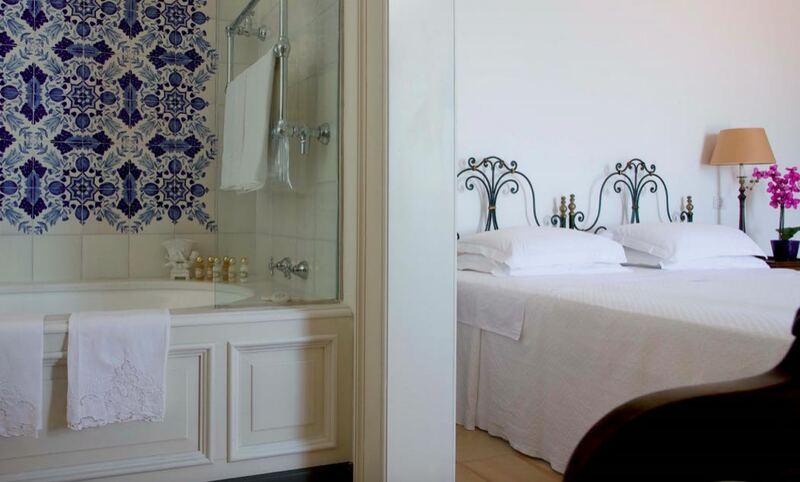 A delightful combination of traditional style and modern comfort, each room at Palazzo Belmonte has its own unique character. Many have their own private terraces with delightful views of the Mediterranean, while décor often features traditional, hand-painted ceramic tiles – a charming and decorative touch. All rooms are air-conditioned and boast flat screen TVs with satellite channels, ensuite bathrooms – often with separate bathtub and shower cubicle – and a minibar as well as tea and coffee making facilities. Bathrobes are provided and inter-connecting rooms and cots are available for guests travelling with children. For those after a little more space, there are suites available, some with their own patios, and even a family apartment with its own kitchen and living area. Whatever you’re looking for can be accommodated here! Room Tip – Opt for a room with a sea view. The bar-bistro serves dishes inspired by the typical fare of the Campania region, prepared using the freshest, locally sourced produce. Enjoy lunch or a cocktail at the poolside bar, and in the evening, dine on the elegant Belvedere Terrace, against the spectacular backdrop of the Amalfi coast skyline and views of the sea and the island of Capri. A fantastic fresh water swimming pool surrounded by sunbathing terraces is available for guests to enjoy. Set amid a profusion of greenery and bougainvillea, it’s the perfect spot to while away a sunny afternoon. Palazzo Belmonte also boasts 5 acres of beautiful gardens which are well worth exploring, and a pleasant walk through them will lead you out onto the beautiful private beach with its soft, golden sands. If you fancy a massage or beauty treatment, this can be arranged, while the hotel is also ideally located for visiting many beauty spots and places of interest on the Amalfi Coast and beyond, from the charming medieval town of Castellabate – a short walk away with some great restaurants to explore – to day trips to Positano, Capri and the archaeological site of Pompeii. Visit from mid to late May onwards in order to enjoy glorious weather and see the gardens at their most beautiful. Palazzo Belmonte is a charming luxury hotel in an ideal location for anyone wanting to enjoy the beautiful surroundings of the Amalfi Coast.